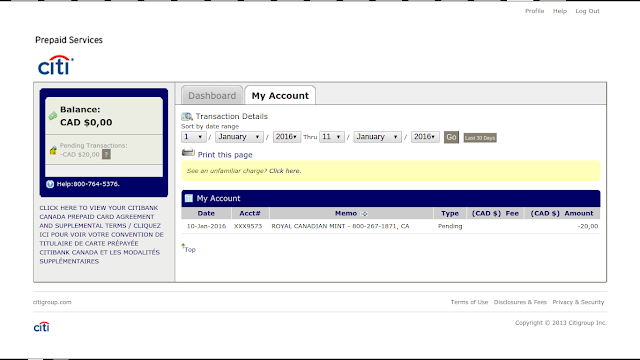 Recently I was given a Visa and MasterCard prepaid card that was loaded with a fixed value; I prefer to use my credit cards, so I found a neat method to convert them back into a real currency. 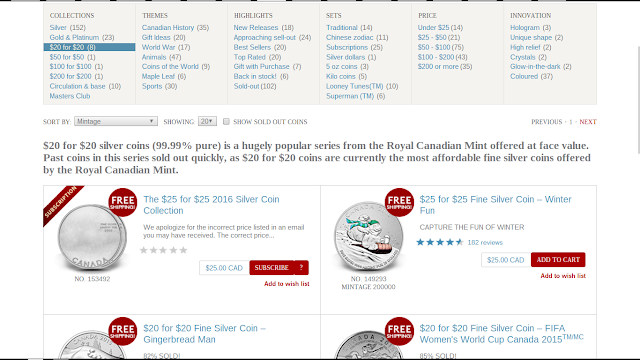 It turns out the Royal Canadian Mint actually sells collector coins at face value with free shipping and no tax. They come in $20, $25 (oddly listed in the $20 group), $50, $100 and $200. You can only use one payment method per purchase, so this won't work if you have a card that's under $20. While stores will likely not accept them, you can go to any bank to deposit the coins. 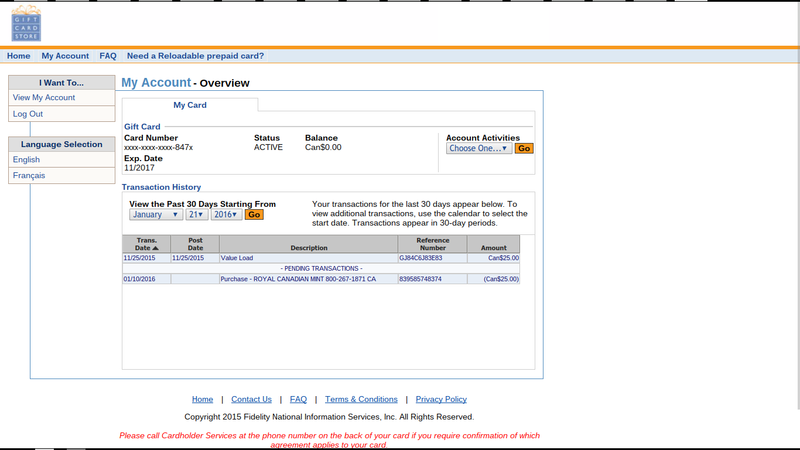 To confirm that the transaction actually went through, I checked the balances on the cards. Sure enough, both the MasterCard and Visa were now $0.